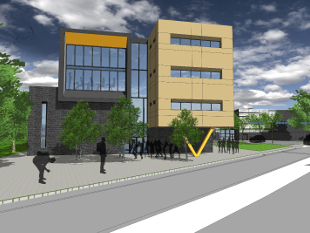 Hounslow Council has welcomed confirmation from both the Greater London Authority (GLA) and Government that the Bolder Academy school can proceed to be built. Planning permission for the Bolder Academy school was given the go-ahead by Hounslow Council’s planning committee on 3 August 2017. The academy, which will be a mixed gender, non-denominational school for local children can now look to open its doors in September 2018 in the building currently occupied by Nishkam School on London Road, Isleworth. Pupils and staff will then move to a new permanent school building in 2020, located at the site of the Grasshoppers Rugby Club, in MacFarlane Lane, Osterley. Grasshoppers will move to their new ‘state of the art’ facility at Syon Lane in 2018 to make way for the school. The rugby club’s new home will feature 3 new pitches including one with an all-weather surface, new netball courts and a new clubhouse. The club has a community membership base across all age groups. The investment of £9.7m to enable the relocation is financed by Hounslow Council with support from The Education and Skills Funding Agency and with Sky, Europe’s leading entertainment company, just next door, the school will also explore possible opportunities for collaboration with the organisation. Councillor Tom Bruce, Cabinet Member for Education, Children’s Services and Youth Services, Hounslow Council, said: “Confirmation from the GLA and Government that the Bolder Academy can go ahead is fantastic news. “One of the council’s top priorities is to ensure there are enough high quality school places in the borough for children and young people so that they can have the best possible start in life with a solid education. Parents with children in Year 6 can obtain an application form at www.bolderacademy.org and attend the school’s next Open Evening at 7.30pm on Wednesday 18 October at West Thames College.